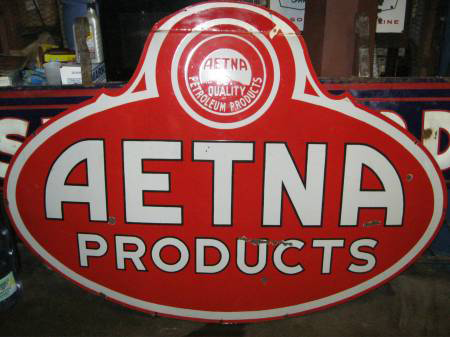 This is an oval Aetna Petroleum Products porcelain sign. This particular Aetna Petroleum Products sign is predominantly red with white text. It reads, “Aetna Products, Aetna Quality Petroleum Products” and features the silhouette of an oil field at the top of the sign.